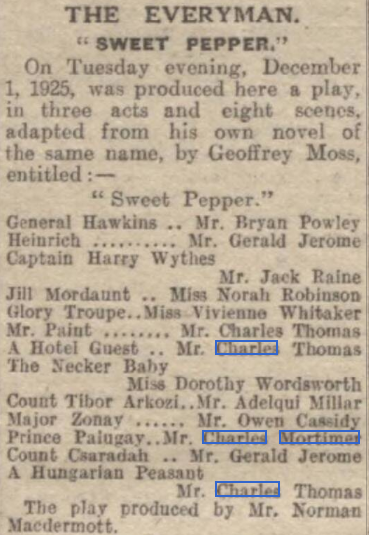 Sweet Pepper (by Geoffrey Moss) at The Everyman Theatre, Hampstead 1 - 5 December, and 14 - 26 December 1925. 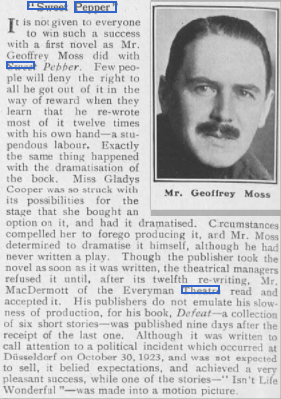 The play closed after a week as it was three hours in length, and was revised. 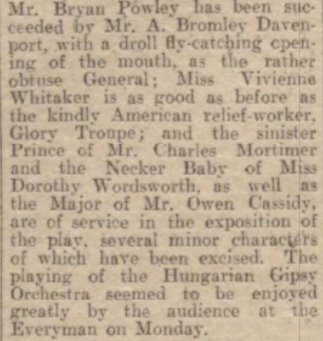 It was a romantic play set in Hungary.